Delamode Moldova provides scheduled groupage services, as well as full and part load transport solutions to and from Estonia. 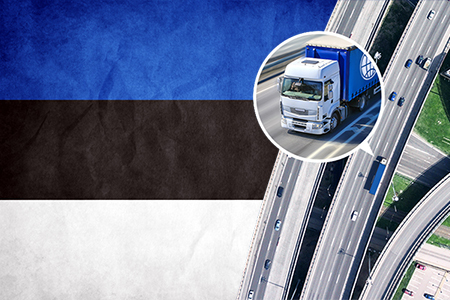 Having established comprehensive national distribution networks within Moldova and in Estonia, means we are able to provide fast, reliable and highly cost-effective road freight services to Estonia. We ensure the safe loading and transportation, as needed, we offer warehousing and other value added services. We deliver the cargo to the terminals at a scheduled time and from there the goods are seamlessly transported to its final destination. We have access to a wide range of transport vehicles, allowing us to provide the most cost effective solution to suit our customers’ cargo requirements. You’ll find all of our groupage import and export transit times and departure days below.